Though frequent visits from royalty have brought global attention to this former 12th-century monastery town, Klosters remains discreet and refined. • About 2 hours from Zürich, the Davos-Klosters resort area has more than 50 lifts, 200 miles of well-groomed runs, plenty of off-piste, and the legendary seven-mile-long trail from the top of the 9,328-foot Weissfluh. • Other activities include horse-drawn sleigh rides, toboggan runs, snow-shoe trekking, and cross-country skiing – as well as a wide range of après-ski activities. 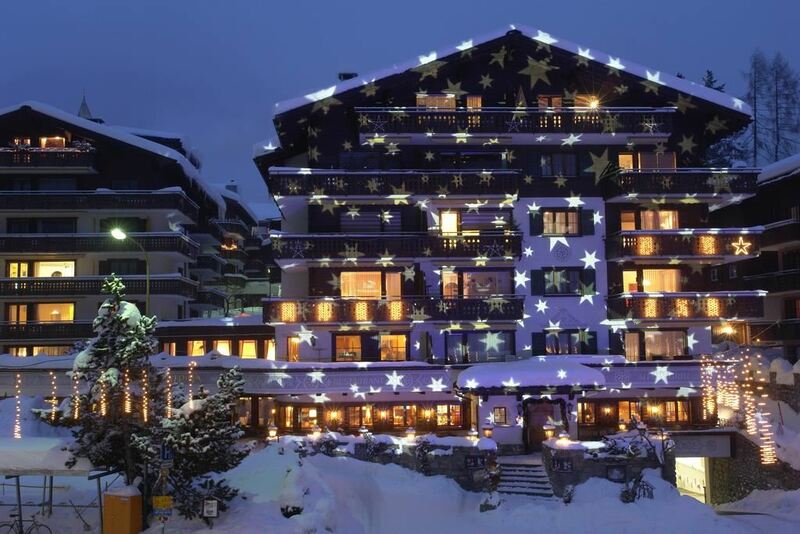 • We are fortunate to be staying at the renowned Hotel Alpina, built in the traditional Swiss chalet style with luxurious amenities and exceptional sleeping comfort. • Workout in the fitness center, swim in the pool, relax in the sauna, steam bath, and infrared cabin, and indulge in facials, paraffin treatments, and body massages. An outstanding value to experience this magical part of Switzerland! 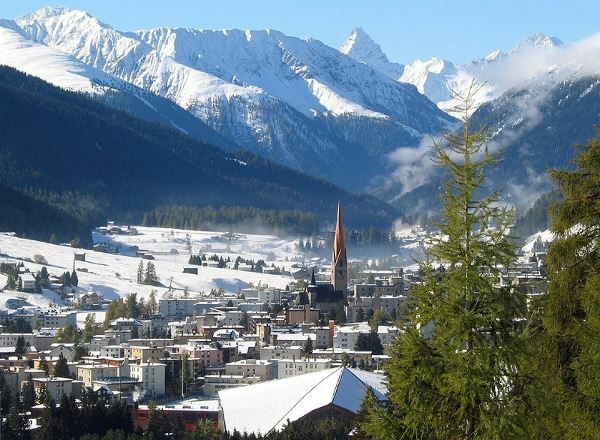 • Private motorcoach transfers between Zurich and Klosters—only 2hr ride! 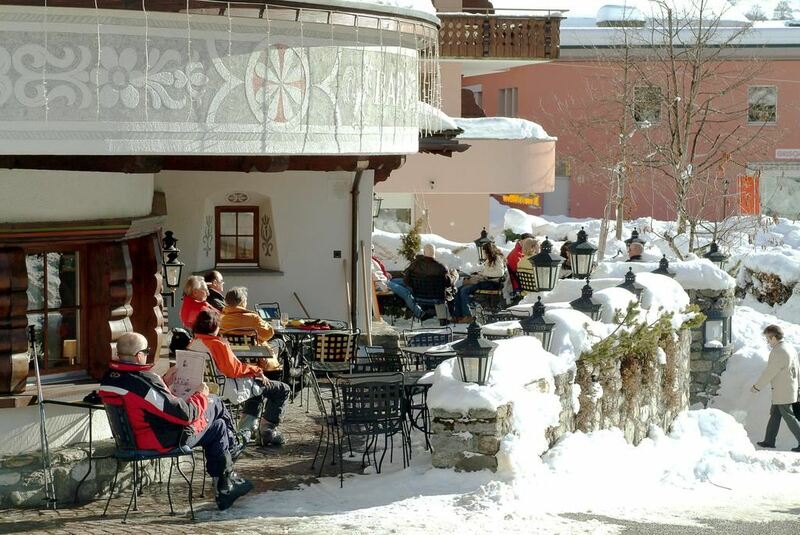 • 7 nights at ****Hotel Alpina—across the street from the train & tram! We’re taking you to one of the best places to ski in the world! Davos/Klosters stands out for it’s extensive above treeline terrain, long ski runs to the bottom, skiing between the pistes for powder runs, and five interconnected ski areas throughout the valley. Best of all, Swiss alpine trains run throughout the valley so you can conveniently and comfortably travel between these areas either for a variety of starting points for a day’s skiing, or to get back to the hotel if skiing down to a different site. No long, claustrophobic bus rides. No getting stranded on the wrong side of the hill. The train is complimentary with a ski pass and with the hotel guest pass, so you are double covered. The train station is just across the street and the tram is just on the opposite side of the tracks. No long walks in ski boots. All breakfasts and dinners are included in our package, but if you would like a change of pace there are many fine restaurants are nearby. Klosters has maintained its charming alpine village atmosphere. The night life is in Davos, which is more city-like and a convenient train ride away—and remember all train rides are just by the hotel and free. Tired and need a day off from skiing? You will not be bored in Klosters. You can go skating and even play ice hockey, go horseback riding or take a sleigh ride, go fat biking on fat biking trails, play indoor tennis, visit the Davos Museum, or even go hang-gliding. Your trip leaders have all the information. And…your trip leaders have scouted out a lunch spot with views of the valley and the best carrot/ginger soup in the world!